To better meet the needs of teachers we have created lesson plans that directly connect to the curriculum in grades K-8. Additionally, field trips to the museum and on-site school visits are available to local schools. This field trip connects English, social studies, and science in an authentic learning environment. In this half-day interactive field trip, students will start at the DeKalb County Community Foundation’s renovated depot to explore the impact the railroad had in area communities. Then, they will travel to the 1835 Miller cabin and the Hoppe Heritage Farm Forest Preserve to examine the cultural experiences of the early pioneers while discovering the natural history connected to the prairie. Programs are available on Wednesdays and Thursdays. There is a charge of $4 per child. Core Curriculum Standards: Content Standard C, Life Science – Understand that humans change environments in ways that can be beneficial or detrimental for themselves and other organisms. Content Standard 12B2 – Identify and explain ways that technology changes ecosystems. ELA-Literacy.RI.4.3 Explain events, procedures, ideas, or concepts in a historical, scientific, or technical text, including what happened and why, based on specific information in the text. ELA Literacy.SL.4.3 Identify the reasons and evidence a speaker provides to support particular points. 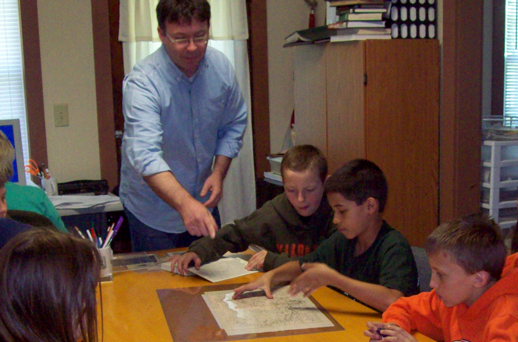 Working with the Sycamore History Museum, teachers will explore the process of creating history. Museum volunteers will train teachers on how to prepare their students for an interview, provide questions, and help teachers find local residents to participate in the project. Second Grade: How “Good” Is It? A museum is a collection of objects, all carefully displayed to tell some kind of magnificent story.